I'm not a fan of molded foods. I'm not talking about moldy foods -- though funky cheese and fermented foods are always ok in my book -- I'm talking about the foods that are manipulated into cutesy forms to somehow exude superiority and sophistication. Save for cookie cut-outs, any food that has been pressed into some sort of ring or mold, including but not limited to: Anything in aspic; anything with Jell-O; chopped salad pressed into a circle; tartar also pressed into a circle. Those ring molds really do nothing except drive up labor cost and convince eaters that they should pay more for the effort. 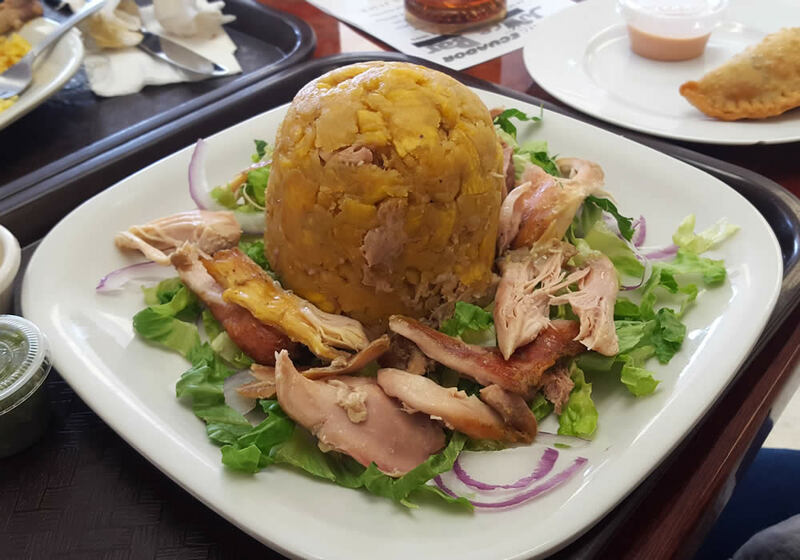 There are times when I can be persuaded to step outside these boundaries, and pollo mofongo is one of those times. Sloppy joes were a mainstay in my culinary repertoire growing up -- mainly because you can't burn them. See, my mother (bless her) went through a period of time when she confused the smoke alarm with the kitchen timer. About the same time, my dad was the volunteer fire chief of our small town, and as a way to live-up to the job, installed 16 smoke alarms in our modestly-sized home that were all connected. When one went off, they all went off. And unless you completely forget that there's meat on the stove (like, go to the grocery store 30 minutes away while dinner is cooking), it's pretty hard to set off that many smoke alarms with sloppy joes. 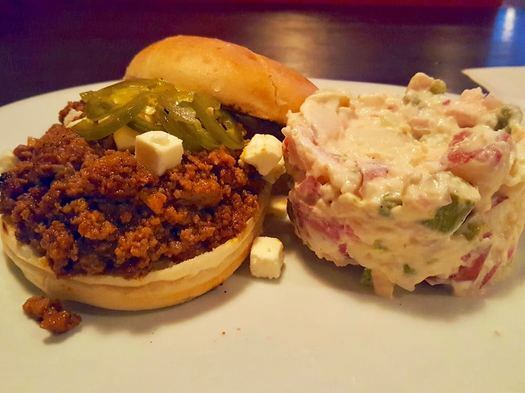 So when I hear of someone "upgrading" the humble sloppy joe with lamb-sted-beef, I'm all in. The French toast crodo: "Plain CRODO rolled in cinnamon sugar & egg dipped and fried - drizzled with glaze and maple syrup, and then topped with crispy bacon." "Cannoli are still my #1 seller, but no matter how many crodo I put in the case, I sell out," owner Jason Grant told us today. Since September of last year when he first started selling the crodos, Grant figures the Crisp Cannoli has sold about 5,500 of the pastries. You might have seen the bit last week about Spencer's question -- and an off-hand comment from us -- leading to the creation of the apple cider croissant donut. 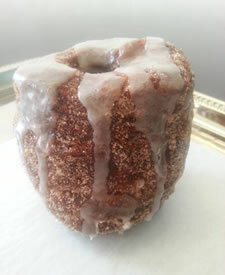 Yep, read that correctly: it's a croissant donut -- like the now famous cronut -- mashed up with an apple cider donut. The apple cider "crodo" is the creation of the Crisp Cannoli in East Greenbush. And after owner/baker Jason Grant gave us the heads up last week about its creation, we were left with just one course of action: We had to go try this thing. 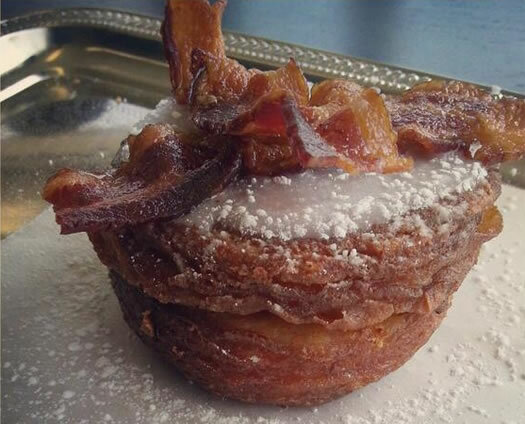 About a week ago we got a question from Spencer about where to find something like a cronut here in the Capital Region. As you might know, a cronut is essentially a donut made from croissant dough. The "pastry hybrid" is said to be the creation of Dominique Ansel, a chef in Manhattan (who also trademarked the name). It's become a thing, with long lines and other accompanying zaniness. Anyway, we posted Spencer's question. And in doing so, we mentioned -- only about half seriously -- that some local bakery should look into making an apple cider cronut. You know, because upstate. Well, it turned out that The Crisp Cannoli in East Greenbush has been making a "crodo" -- basically its version of the cronut. And today, apparently inspired by our suggestion, it unveiled, yes... 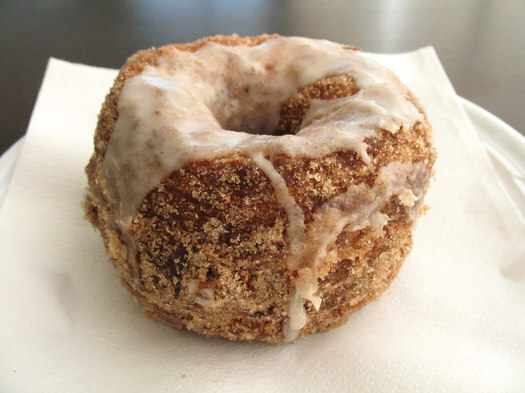 The Apple Cider Croissant Donut (AKA: CRODO). And with that, our work here is done. Thank you and goodnight. tags: East Greenbush, food, ha! Good lunch spots in Rensselaer/East Greenbush? 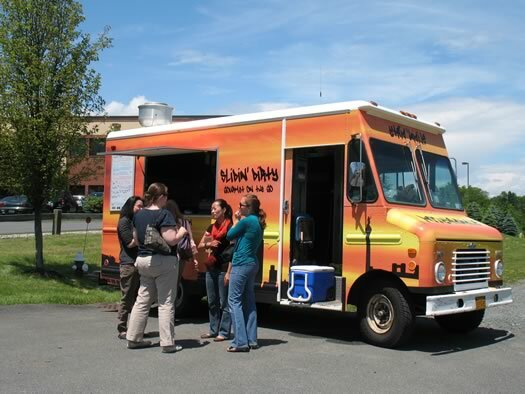 In serious need of good lunch take-out suggestions in Rensselaer/East Greenbush. I was spoiled working down the street from the Iron Gate [in Albany]! I'd love a place with soups and salads and interesting sandwiches. 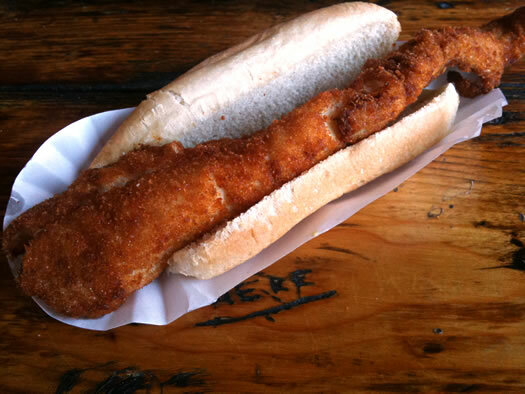 We are reasonably certain people in East Greenbush eat lunch. So there have to be at least few spots Melissa should try. + Where to have lunch in downtown Troy? 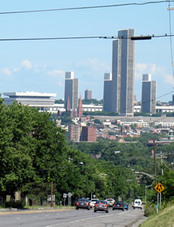 + Good lunch spots in downtown Albany?